(1) Uganda President Museveni at his ranch (2 From left - Kelly McTavish- Mungar, VP ATA Uganda Chapter; Mira Berman. ATA Exec. Dir. 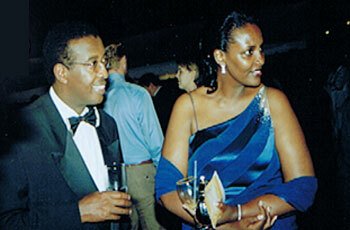 ; Museveni, Jerry Bird, Editor; Suzan Muhwezi, President ATA Uganda Chapter. 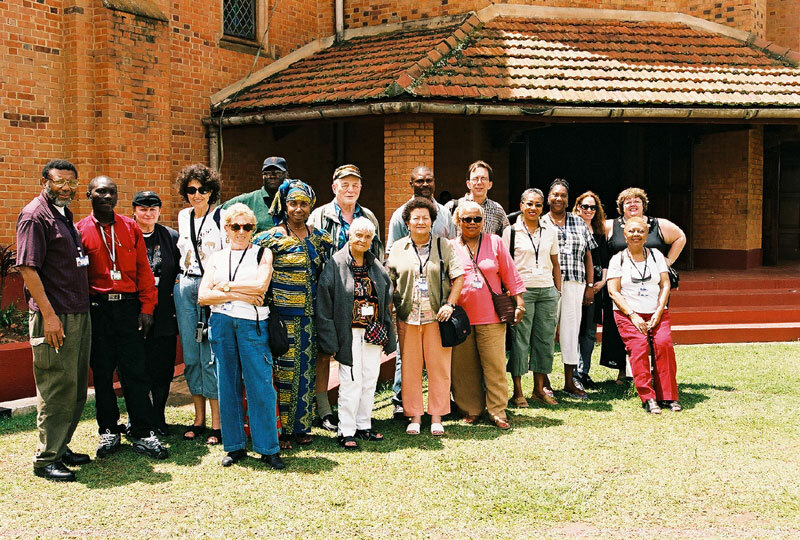 Host Country Day (1) 96 year old superstar Elyse White (center) at source of Nile (2) Uganda VP Hon. Gilbert Burkenya (center), ATA President Hon. Patrick Kalifungua (left), Africa Travel Magazine Editor (right). (3) Historic tombs, Kampala. Photos on this page by Robert Eilets, Muguette Goufrani and Abigail Lubliner.